Our range of Cash Boxes will help your customers keep their cash in an organised and secure way. 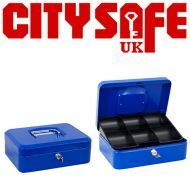 This range comes with a safety lock and hinged lid with recessed handle and is available in different sizes to best suit your customers’ needs and budget. 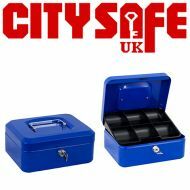 Here at CitySafe UK we have many door and window security products so that you can provide your customers with everything they need to improve their home and business security. Browse our website to find the best products for your customers.